Regia Pairfect Children Sock R0327 Pattern PDF. The cute children’s socks in colorful jacquard pattern are a real eye-catcher for small children’s feet. 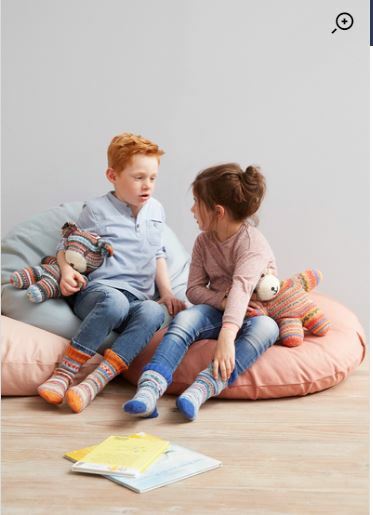 The Norwegian-inspired effect comes straight out of the ball and because of the REGIA PAIRFECT technology with the yellow thread, you can create two completely identical children’s socks in the sizes 22 to 35 easily! The colorful jacquard patterns are inspired by the home of the two iconic Norwegians ARNE & CARLOS, who have given this Design Line its unmistakable touch.